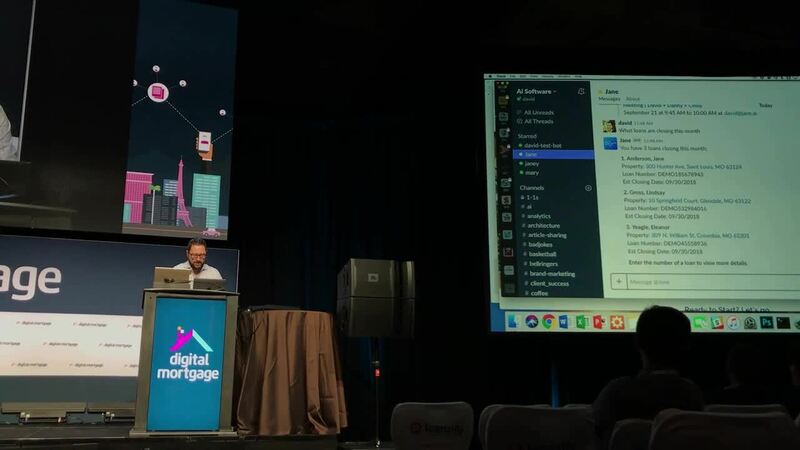 Jane.ai Voted Best in Show at Digital Mortgage 2018! David's prime time pitch (coupled with David's prime time good luck pants) secured a 2nd place win in the judge's best in show. And just this morning, event organizers announced that Jane.ai won the People's Choice Award for Best in Show, based on votes cast by attendees! We're so grateful for all of the support and interest in Jane.ai and how she's rocking the mortgage world. If you voted for us, a heartfelt thanks. And if you competed against us, we are proud to be among such incredible companies. If you're ready to learn more about how Jane.ai can help your company close more deals, please click the link below to schedule a demo.